Welcome to the Watch Fortress Commanders! 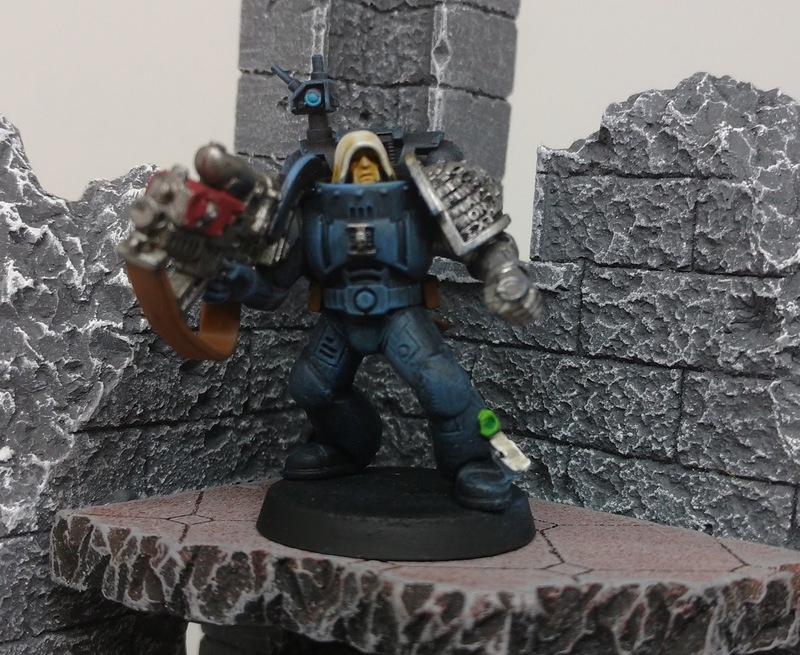 I'm still riding a hobby high from last week's 40K Doubles Tournament and I've been building a load of 40K models in my spare time. 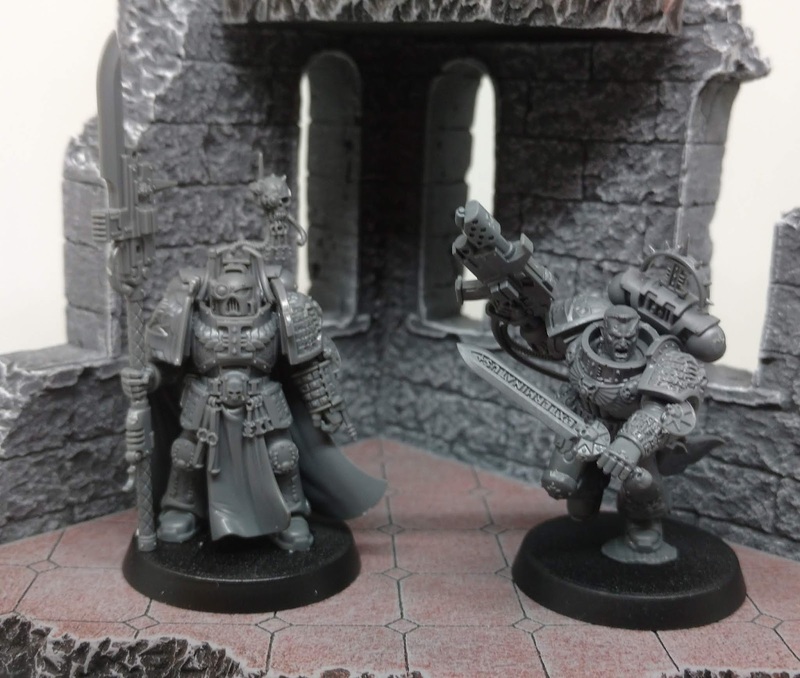 Long time readers will know I am something of a Power Armour Junkie, and so having enjoyed playing them in some doubles practice games I've been reinforcing my Deathwatch Marines! 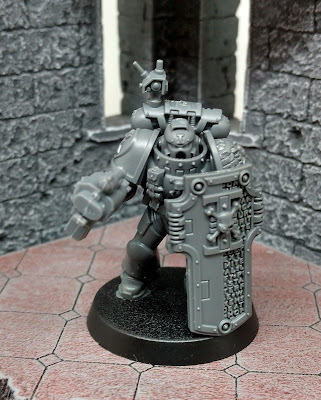 I love the lore behind the Deathwatch; the Best of the Best, a thin black line defending Humanity against the danger of Xenos-kind. 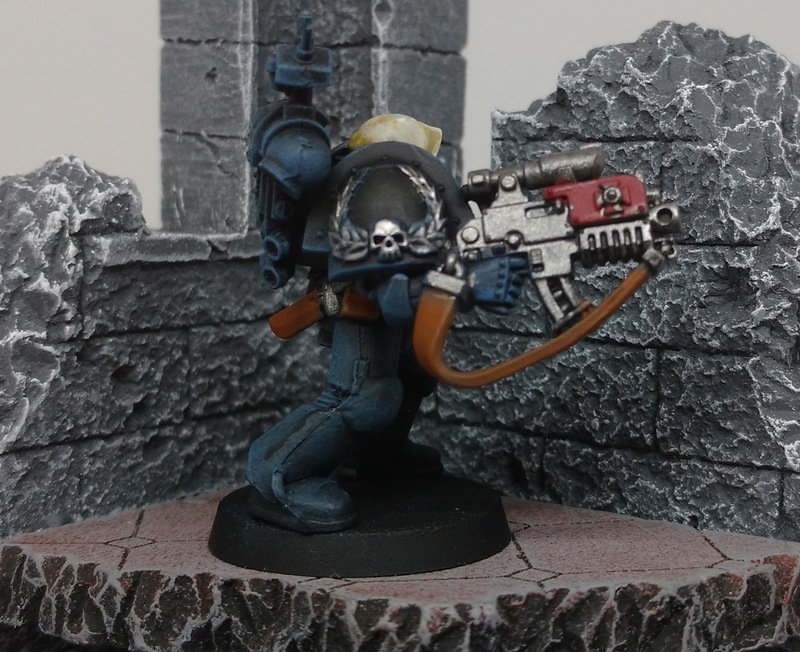 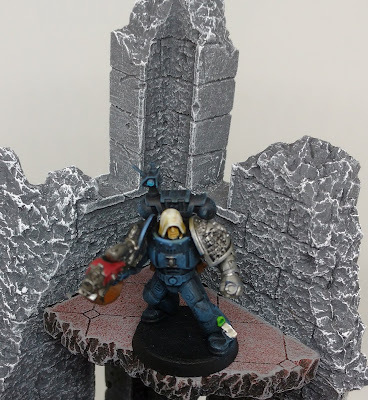 The Deathwatch recruit from many different Chapters and so the army present an opportunity to build and paint a bunch of different Space Marine styles. Whilst I've done quite well in the "buy and build" category, I've utterly failed to paint any of my Deathwatch models. Until this weekend that is; I've painted a test model and I'm quite taken with the scheme! 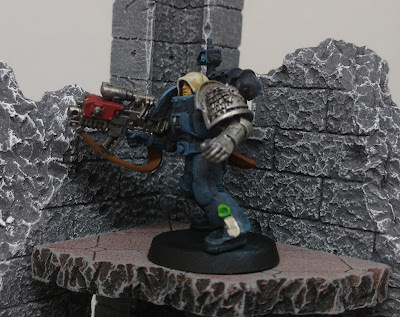 When I come up with a paint scheme I like to write a post to capture it (as my memory is pretty terrible); hopefully other readers might get some inspiration or benefit from it as well. 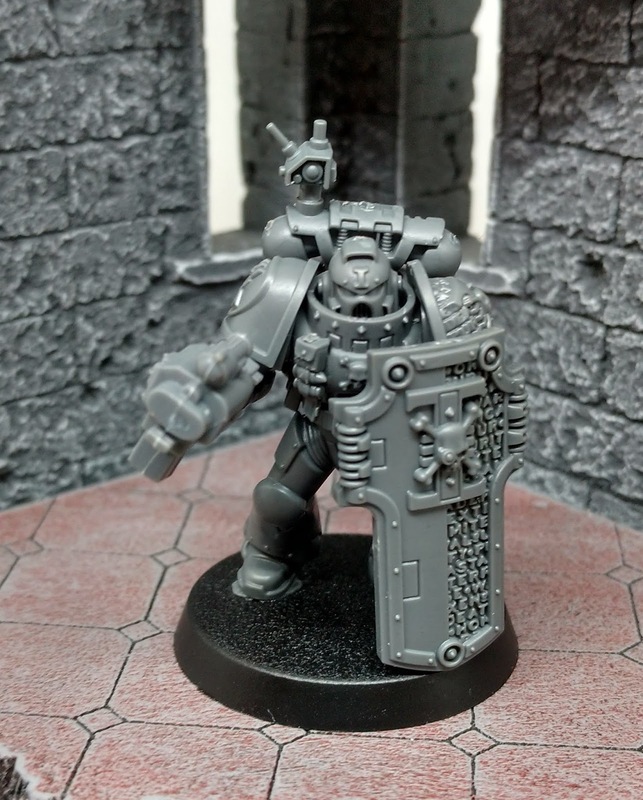 And there we have him; the first Black Shield Veteran for my Deathwatch forces. The Deathwatch will be a slow grow project; I've got a few other painting projects on the go at the moment (more on those in future posts), but I'd like to get some more games in with the Xenos Hunters. 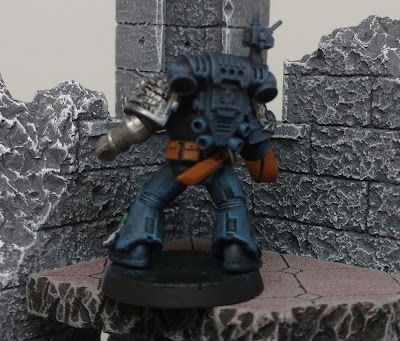 They received some points drops with Chapter Approved 2018, and benefit nicely from the beta Bolter Drill rules so hopefully they will be more competitive on the table top. 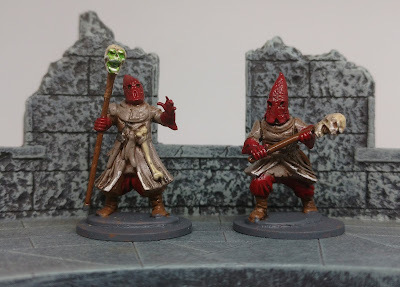 Spotted some mould lines; they'll need sorting before painting. 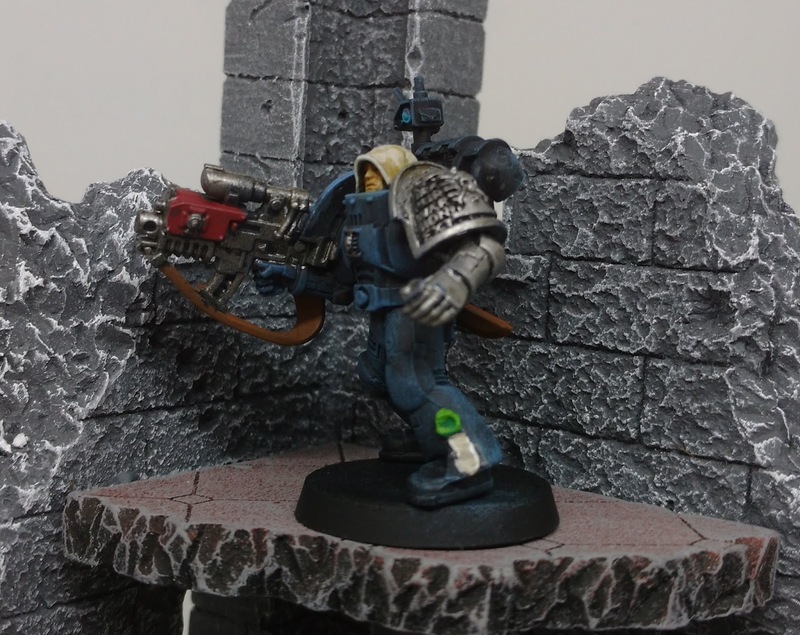 Thanks for stopping by the Vault; next time will be talking about some up and coming Kill Team at the club.